Cycle 4 St. Joe’s is on Sunday! Here are all the details so you’re ready to ride. Please read, print and sign your Waiver. You’ll need to hand-in your signed waiver at Registration to participate in the ride. You can also pick up a waiver at the Waiver Tent on-site. All the routes start and end at the Mattamy National Cycling Centre (Velodrome), 2015 Pan Am Blvd., Milton. You will receive your route card with emergency contact information at the Registration tent. If you would like to change your route, you can do so at Registration. Free parking is available at the Velodrome. There are washrooms available at the Velodrome and at rest stations along the four routes. There is still time to help us reach our goal! Do you have some late supporters? 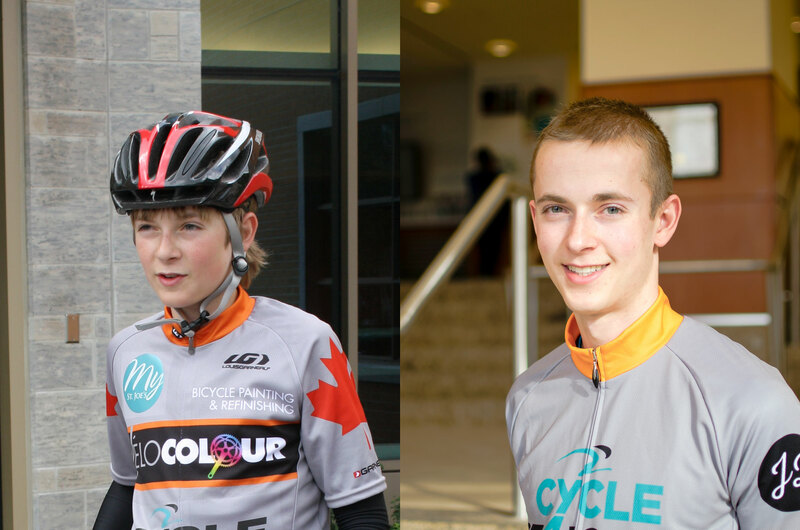 They can still support you until October 8 at cycle4stjoes.ca or your personal fundraising page. Cash donations will also be accepted at the Registration tent. 7:00 am - 10:00 am Registration opens. Check the start time of your route! Everyone who earned an incentive for fundraising can pick up their prize at the Registration tent. Stop in at the Presenting Sponsor Medavie's tent for a special gift. Fuel-up with light breakfast items, juices and coffee/tea. Last minute tune-ups available at the Oxygen Bike tent. Trained too hard? Check out the Spidertech tent for pain relief. Get your individual or team photo taken! 8:35 am Welcoming remarks - everyone's invited! 10:00 am – 2:00 pm Lunch is available for all riders at the Woody’s tent. $15.00 for non-riders. Loosen up tight muscles at the WellCalm Massage tent post ride. "When I was 15, I rode my bike with a friend to Niagara Falls to raise money for St. Joseph's Health Centre. Living just down the street from the hospital, and have been treated for a couple serious sports injuries, I know how important St. Joe's is to our community; making this ride was my way to give back to St. Joe's. After 6 years, it's incredible to see what this solo ride has become. What began as a way for one neighbourhood kid to support his community, has grown into an event that has raised over $1 million for St. Joe's. I'm so proud to have been a part of Cycle 4 St. Joe's - join me and register to ride today!" St. Joseph’s is making a promise to make our community one of the healthiest in Canada. But we can’t do it alone. Together, let’s keep the Promise. Thank you for supporting St. Joseph’s Health Centre.